Motorola was the early leader when it came to smartphones that were only available online in India. The Moto G series has earned the company quite a lot of success in India, but it has been sidelined by the rise of the likes of Xiaomi, Honor and Nokia. Now the company is looking to change that with the Motorola One Power, being launched today. In India, the Motorola One Power is priced at Rs 15,999 and will be available exclusively via Flipkart starting October 5 at 12 pm. You can register for the phone on Flipkart starting today. At this price, Nokia 6.1 Plus and Mi A2 are its clear rivals and we’ll be very eager to see how it performs against them, especially as Motorola One Power is part of the Android One program. And to take on these rivals Motorola is focusing on battery life. It’s odd to begin a phone’s description with its battery, but that’s what this phone demands. Motorola is targeting the youth who are perceived as being multimedia hungry with this phone. It packs in a massive 5,000mAh battery which comes with the promise of two-day long battery life. Motorola is also adding a fast charger with the One Power to replenish the battery in less than two hours, which is quite amazing given its size. Motorola One Power is powered by a Snapdragon 636 chipset along with 4GB of RAM. You get 64GB of storage which can be further expanded by up to 256GB because of the three-slot SIM tray which accommodates two SIM cards and a micro SD, all at the same time. 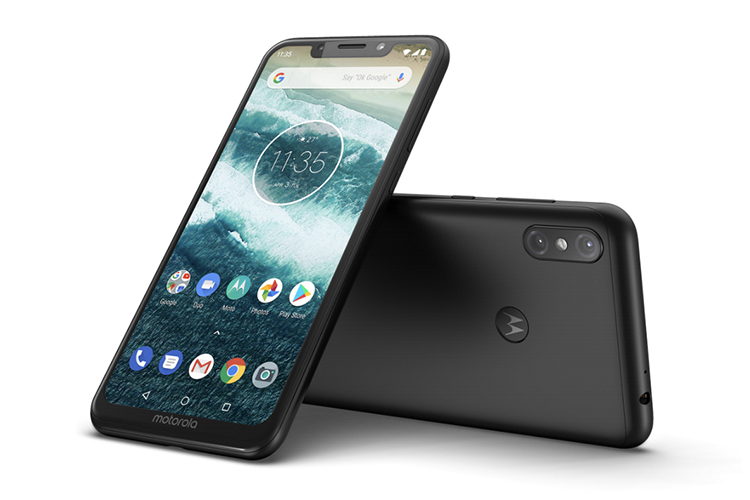 With this launch, Moto has embraced the notch in the mid-range segment. 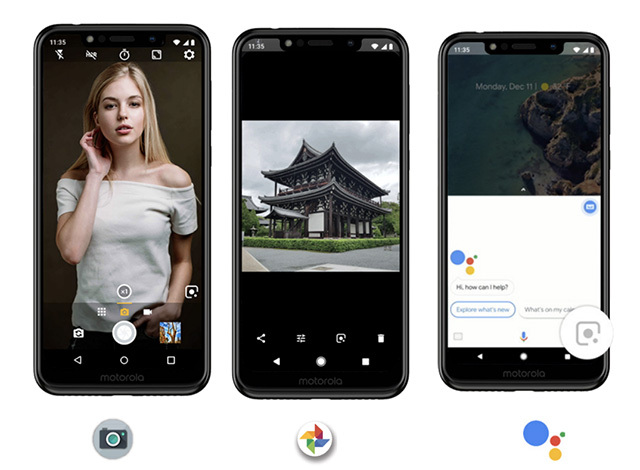 Motorola One Power features a 6.2-inch display with Full HD+ resolution and a wide notch. In terms of cameras, you get a 16MP+5MP setup on the back while there’s a 12MP camera on the front for selfies. There’s no denying the iPhone X influence here. Additionally, the device comes with the promise of regular updates for the next three years, unlimited storage for photos, and near-stock Android experience, thanks to Android One. Motorola says they’ve limited the customizations to its popular Moto Actions and Moto Display. Motorola also promises an Android Pie update by year end. We have our hands-on and first impressions of the phone coming up, so stay tuned for more on the Motorola One Power.